When will be Britain's Treasure Islands next episode air date? Is Britain's Treasure Islands renewed or cancelled? Where to countdown Britain's Treasure Islands air dates? Is Britain's Treasure Islands worth watching? Naturalist Stewart McPherson travels to all the UK Overseas Territories, exploring their wildlife, landscapes, history and people. His second journey begins on Tristan da Cunha, the most remote inhabited island on earth, and home to the entire world population of a spectacular albatross. From here, he travels to the Falkland Islands, coming face to face with a fearsomely intelligent bird of prey, and arrives in Stanley, the capital, in time for celebrations following the referendum in which the islanders decided overwhelmingly to remain part of Britain. Leaving the Falklands, he follows in the wake of Shackleton and his ill-fated Antarctic expedition, first to South Georgia, to witness one of the greatest wildlife spectacles on the planet, then on to the frozen wilderness of the Antarctic peninsula. The final part of Stewart McPherson's epic journey to visit all of the UK's Overseas Territories takes him to islands that could not be more different, yet are all united by being important military or trading bases, both historically and, in some cases, still today. This journey begins in the Caribbean, where amongst sunbathing tourists, he finds some unexpected wildlife and an active volcano. In the centre of the Atlantic, the pinprick of Ascension Island, an extinct volcano, looks like somewhere on Mars rather than a part of Britain, yet it too has rich wildlife. St Helena is so remote it was seen as a safe prison for Napoleon Bonaparte after his defeat at Waterloo. And finally, Stewart visits the newest of the Overseas Territories, the Sovereign Base Areas on Cyprus, along with Gibraltar, the last home of the Neanderthals and the present home of Barbary macaques, Europe's only wild colony of monkeys. 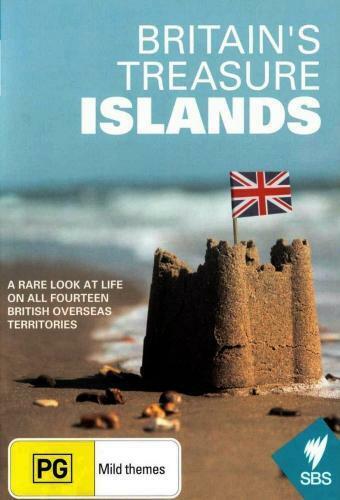 Britain's Treasure Islands next episode air date provides TVMaze for you. EpisoDate.com is your TV show guide to Countdown Britain's Treasure Islands Episode Air Dates and to stay in touch with Britain's Treasure Islands next episode Air Date and your others favorite TV Shows. Add the shows you like to a "Watchlist" and let the site take it from there.